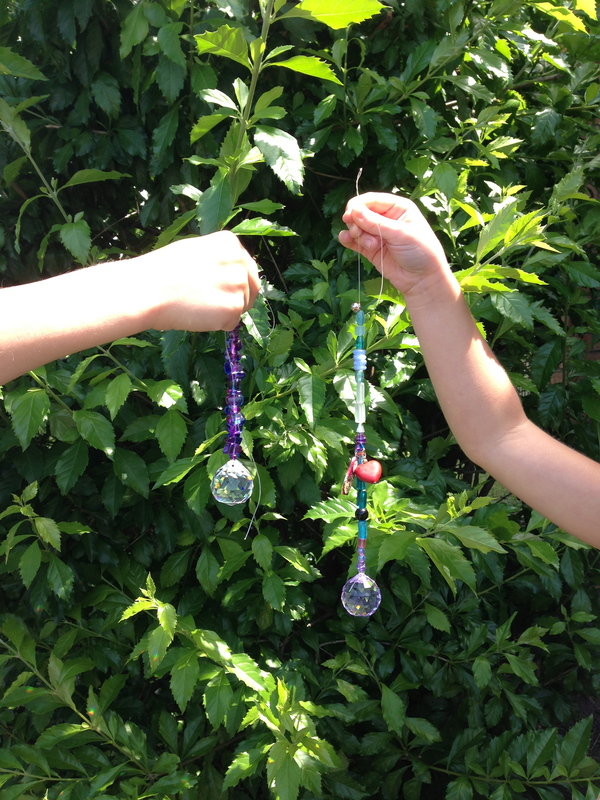 Sun Catchers – School holiday entertainment. 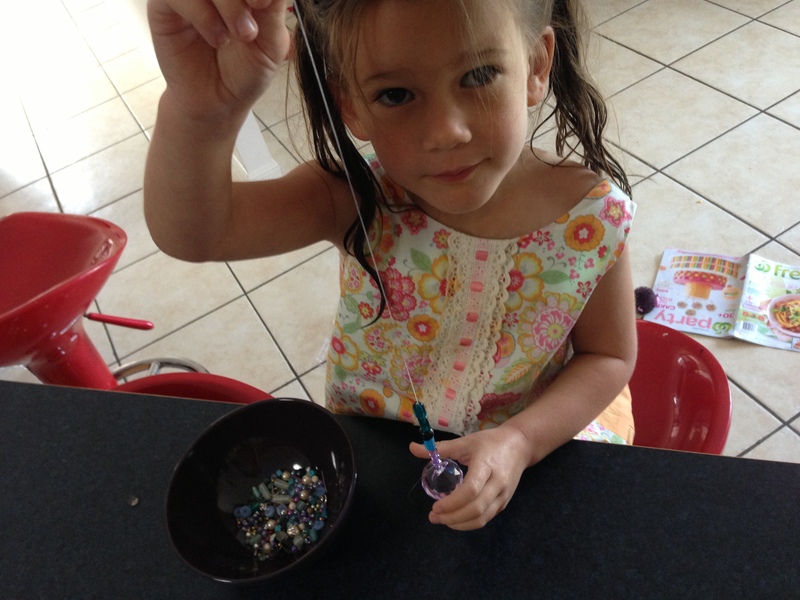 I have a stupid amount of beads that I have collected over the last 20 years and the kids love playing with them. 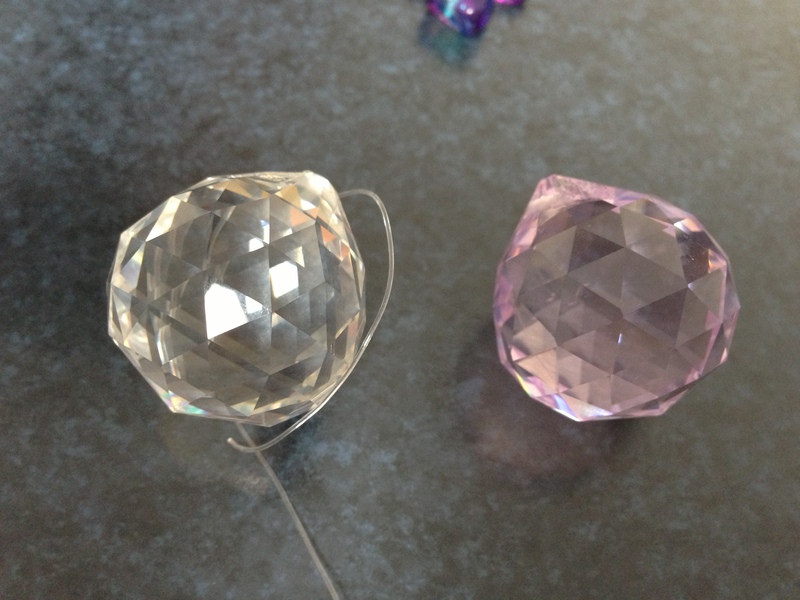 I picked up these ‘diamonds’ on ebay for just over $4 each including postage. 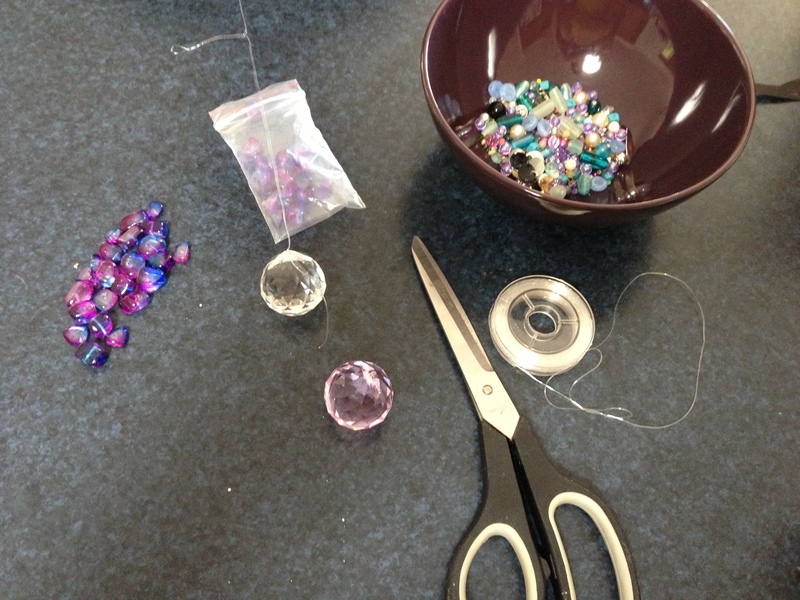 Sun catcher, miscellaneous beads and crystals, string or fishing line, scissors. The kids couldn’t help themselves and had to smear their slimey little hands all over them as soon as we opened the mail. They are available in 9 different colours. I ordered these just for me and Layla, but now I have had to order another green and clear one for the boys. Layla demonstrating that it’s child’s play. She added bells, crystals and beads. Butterfly beads of course.